Commenting is now available on any file from the lightbox. Click on the comment button, and see comments from others on this file. 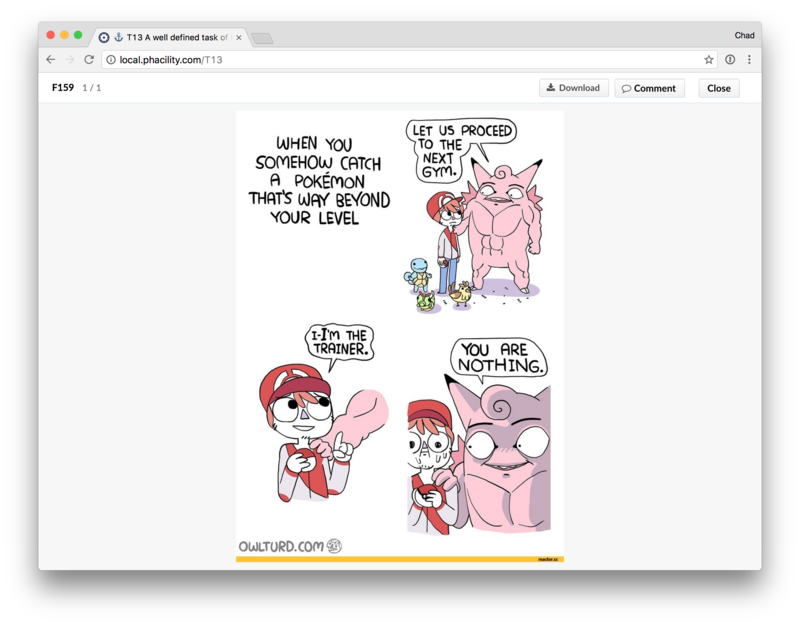 Comments stay attached to the file, regardless if you share the same markup via a task, document or chat. Share and re-use files by embedding them in Remarkup anywhere. Cycle through all the files and see all the comments. Documents also now go fullscreen, too. Attach a PDF to a task, download it or click on it and leave a comment. Minor, though I'm personally really proud of the aesthetic, when you embed files into Remarkup, they are now more pronounced and give you additional information. See the full name, type of file, and the download size. This makes it easier to see and organize files in your tasks and descriptions. We're still working to improve this experience and would love your feedback. 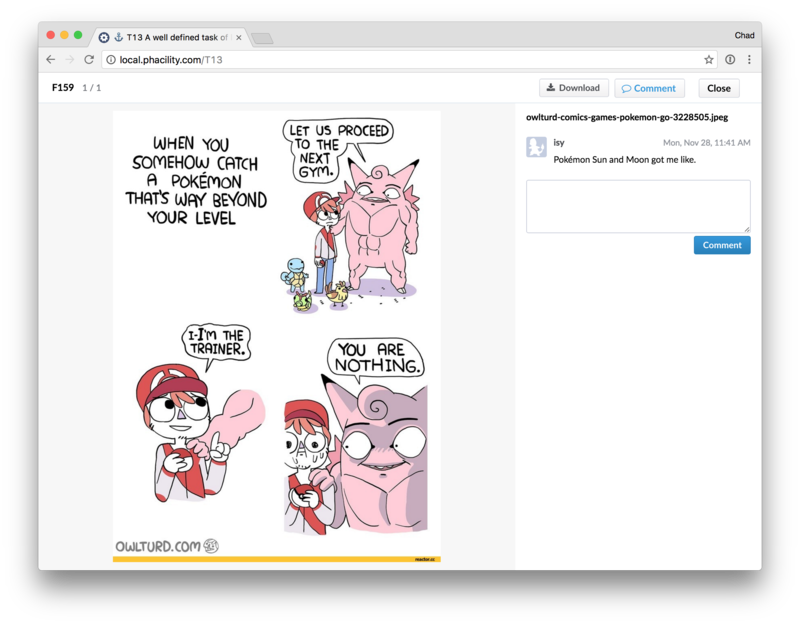 We'd like to add the ability to post back to the parent object, subscribe to individual files, and maybe clean up the UI a little more. And some mobile testing. It probably should work great on mobile. Follow along on Lightbox v2 and add your thoughts. 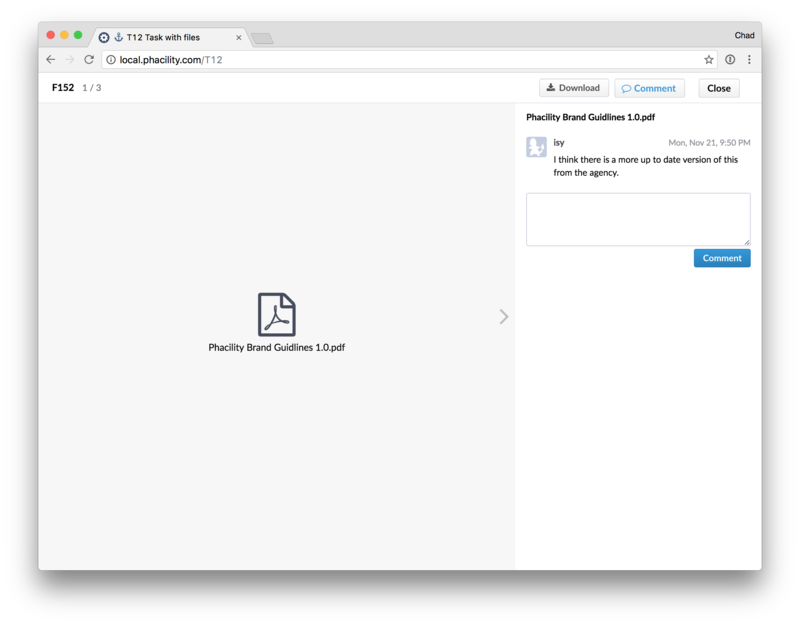 As always, you can Try Phabricator for Free on Phacility or Install Locally on your own hardware.